The music video of La Puerta Del Cielo/ Seven Lives by Enigma with original lyrics in Spanish and a brave attempt at translating the words into a decipherable form of Engrish. The music video is a let down but the song rocks, and no, I don’t speak Spanish, but I do know what a Gringo is and have met berry berry many peoples from bar-TTTHHHE-lona. 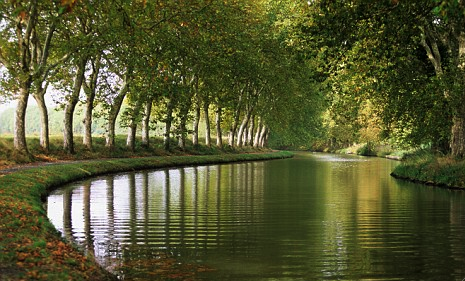 From what I can hear, this song deals with a French Architect called Pierre-Paul Riquet who was known as the builder of the Canal du Midi in France in the 17th century. The Canal connects the Atlantic Ocean to the Mediterranean Sea and was originally constructed to avoid encounters with Barbary Pirates. If this song was a tribute, would the lyrics not be in French, and why the familiar song title? Suau si es mou sa manada. To be like his straw humiliation.